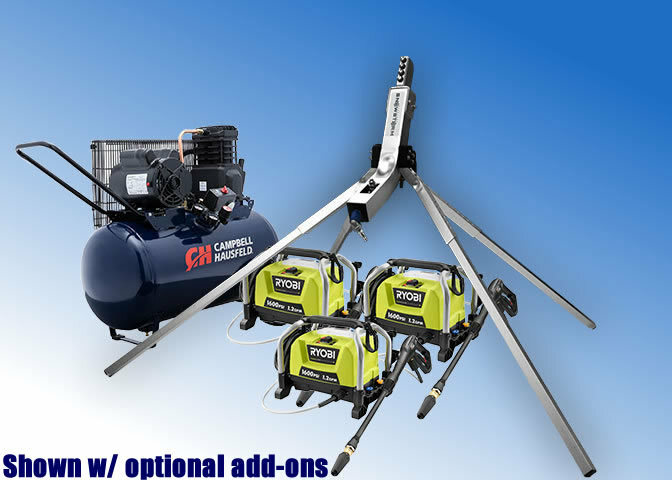 Triple Train Home Snowmaking Machine Package Starting at $910.00 (plus shipping). 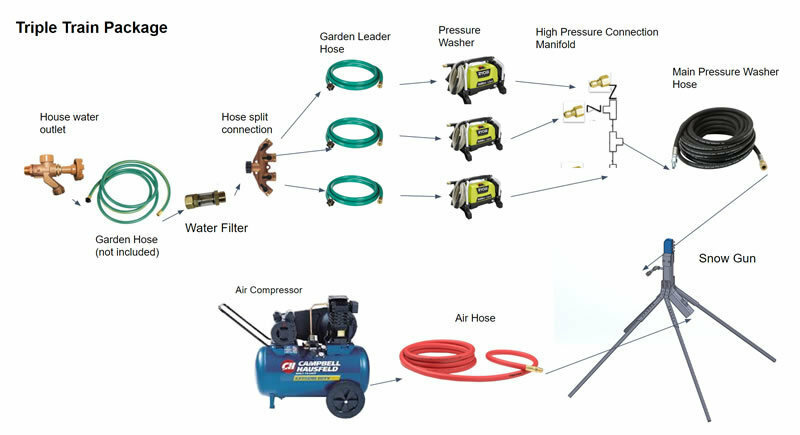 The triple train package allows you the option of running three pressure washers in your system to increase water flow. This is the cheapest way to increase snow output when making snow residentially.